Our range of products include golfers gift, aim game, dart game and 10 in 1 puzzle set. A golfing accessory that's both stylish and practical, this pouch from XINDAO (Holland) is perfect to carry along to the course. 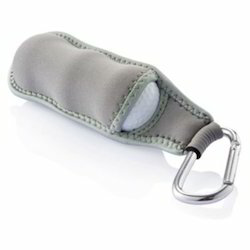 It holds 3 golf balls in its pocket while a carbiner secures it safely to your belt. Avid golfers will love this gift. Hit bulls-eye with this gift! 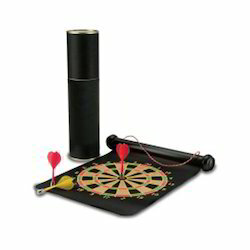 It has not one, but two different dart games on each side of the cloth and the entire game, along with the darts, fit neatly into a compact paper roll that you can carry with you. Own or gift this and you will surely achieve your aim!! Achieve your targets with a motivating game that you can use at home, at work or carry with you wherever you go. 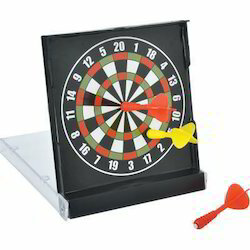 This compact magnetic dartboard comes in a transparent acrylic case, which also serves as a stand to hold the board up straight. Use the 3 included darts, take your aim and go for the bull's-eye! 10 in 1 Puzzle Sets.